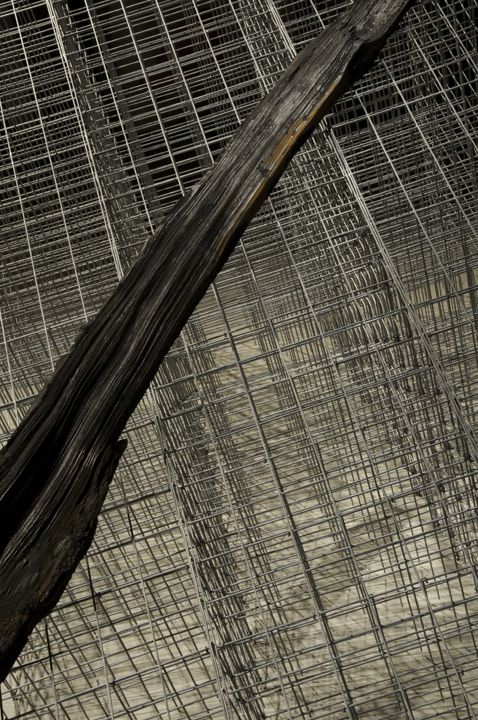 The following images illustrate a sculpture installation which combines an iron casting of a fragment of a tree hit by lightning, an architectural cell structure made of gabion wire and a video of koi. 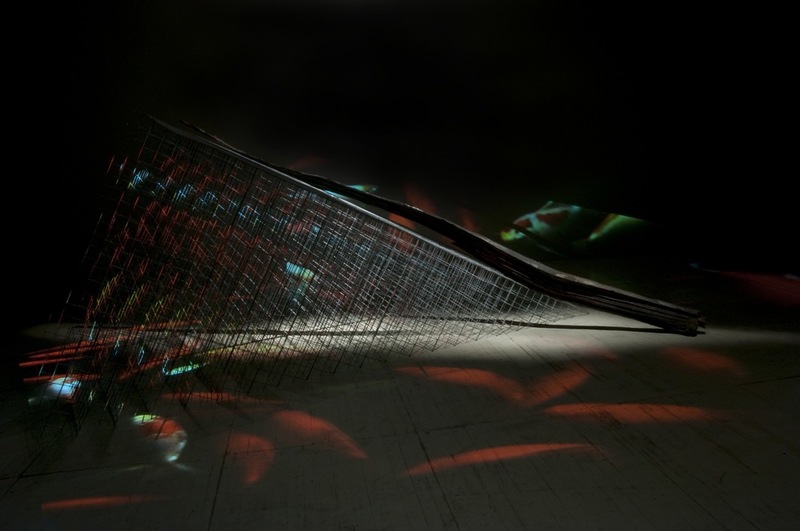 The sculpture can be seen under several programed lighting conditions: fully lit, partially lit with video projection, and with just the video projection. The grid structure is made from gabion material, used in systems to prevent erosion.